In a medium bowl, whisk dry ingredients until well blended. When blended, cut in shortening with pastry cutter or two knives. Mix should look like coarse crumbs. Add milk, a little at a time, and mix until it forms a ball. Dust hands with flour and knead just until workable, 3-5 times. 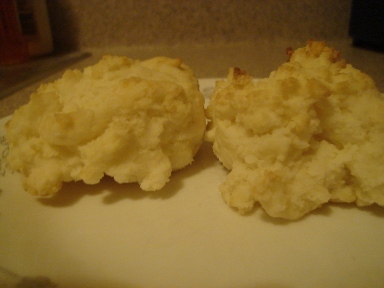 For drop biscuits use a tablespoon and divide dough into 12 equal portions onto an ungreased baking sheet. 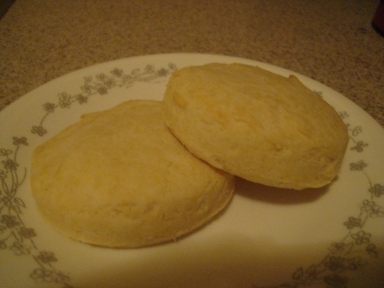 If you wish to make rolled biscuits, use white rice flour to dust surface and roll out to 3/4 inch thickness. Cut with biscuit cutter or glass dipped in flour. Bake at 425 degrees in hot oven for 11-14 minutes. For a nice breakfast, make some pork sausage links,( or patties) and use the drippings to make a white sauce gravy. Crumble a couple of links into the gravy, season with salt and pepper, and serve over the drop biscuits with remaining links. Add Scrambled eggs too if you can tolerate eggs.